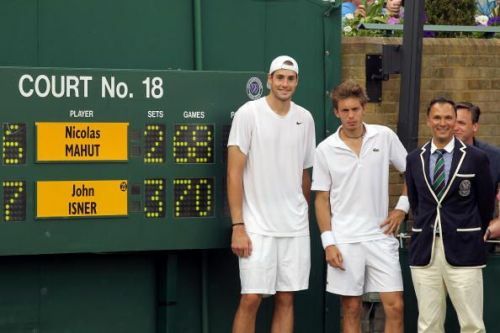 Eight years before John Isner took on Kevin Anderson, he took on Nicolas Mahut in what, till-date is the longest ever match in tennis history. The match spanned over three days and 11 hours with Isner coming out on top. Both the players posed for a photograph with the scoreboard once the match was concluded. Isner held his nerve at the end to break Mahut's serve and win the match on a day when the 2nd round matches had already begun. It is difficult to imagine any match breaking this record for a very long time.